The Central Government Health Scheme shortly referred as CGHS offers a broad spectrum of medical facilities for the central government employees and beneficiaries of pension fund and their dependents living in CGHS approved locations. The Central Government Health Scheme was actually initiated in Indian capital during the year 1954 and now expanded in many other locations, which include Delhi, Mumbai, Bangalore, Hyderabad, Gurugram, Jammu, Kolkata, Pune and so on. The CGHS health care facilities are offered by hospitals categorized under Unani, Allopathic, Sidha, Ayurveda and Homeopathic schemes of practices of medicine. Gurugram, being an urban centre is well equipped with Central Government Health Scheme hospitals to serve the beneficiaries. 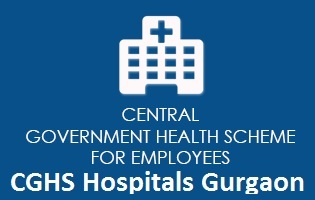 Find below the list of CGHS Hospitals in Gurugram (hospitals and diagnostic centres sanctioned under Central Government Health Scheme) along with location and contact details. Ltd, New Railway Road, Gurugram, Haryana. I want a PET CT scan of my wife through CGHD approved centres in gurugram. We shifted very recently from Delhi. The test has been prescribed from AIIMS Delhi. We r staying on sector 60.